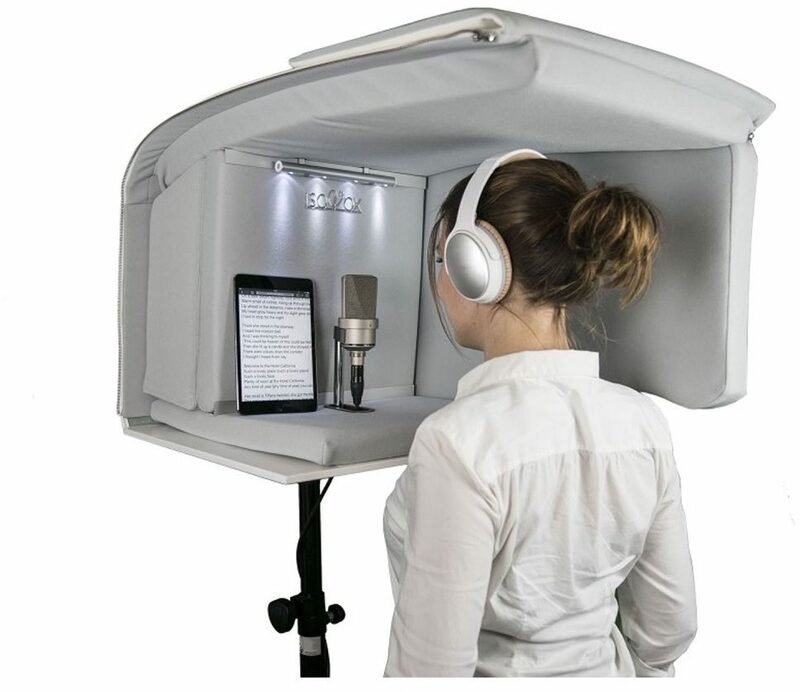 With the IsoVox 2 VocalStudio mobile vocal isolation booth, you can practice & record vocals like a pro, quietly at home! 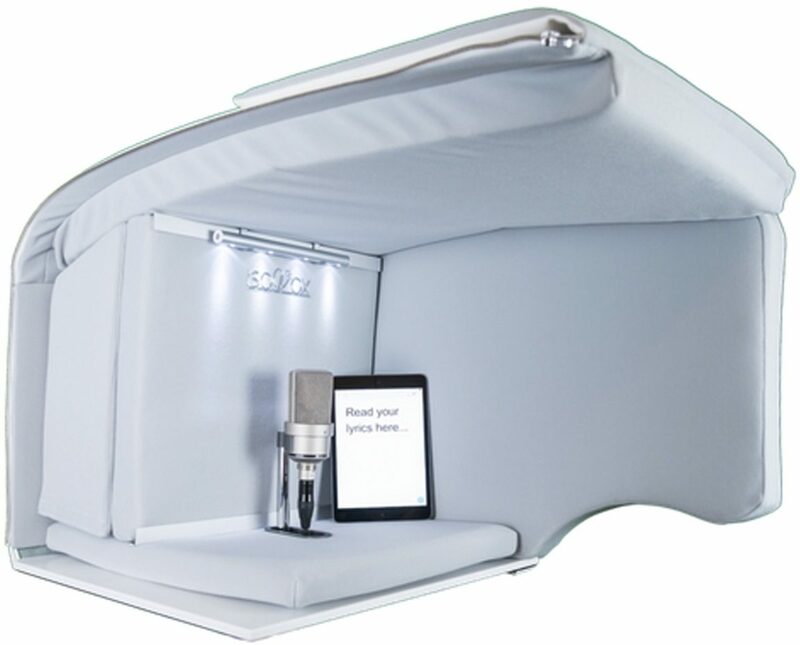 Patented 360 XYZ Pro-Acoustics shields & protects against unwanted room sound, reflections & coloration. Vocal sound stays inside and gets absorbed, diffused & clarity-enhanced by the patented internal acoustic-system; an RCD-shield reduces outside sound from fans, traffic & wind & neighbors. With detachable side-panels, integrated cable channel & easy zipper & velcro assembly, the IsoVox 2 VocalStudio can be packed flat, and fits on a standard PA-speaker stand (not included). 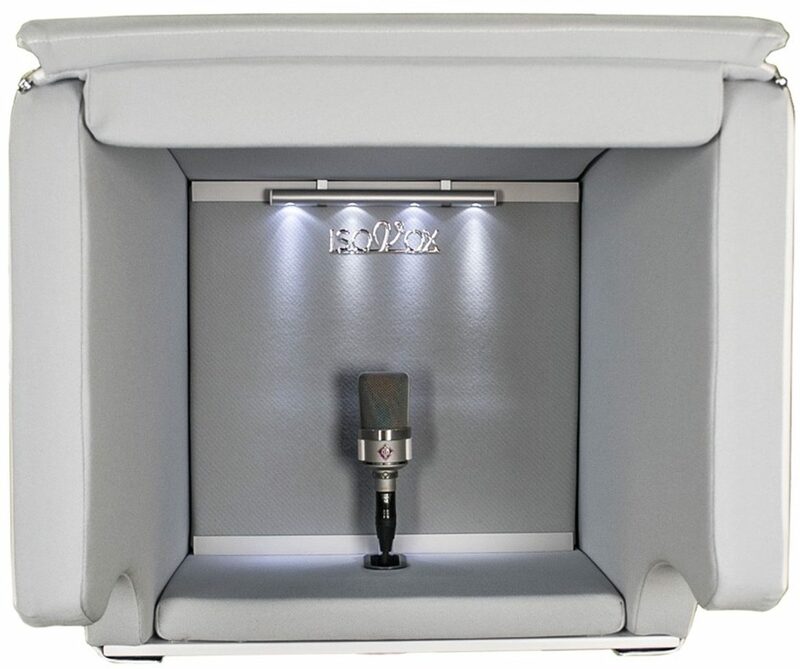 With a 5/8" mic adapter included, and IsoVox's flex-on mic mount 2, a mic mount that snaps on to almost any studio microphone, the VocalStudio booth can fit your microphone, your pop filter, and you. Note that the IsoVox 2 VocalStudio is not soundproof. Spill-sound will be heard, depending on voice type, strength and volume when practicing. IsoVox cannot guarantee that this works for all types of vocalists and/or neighbors. 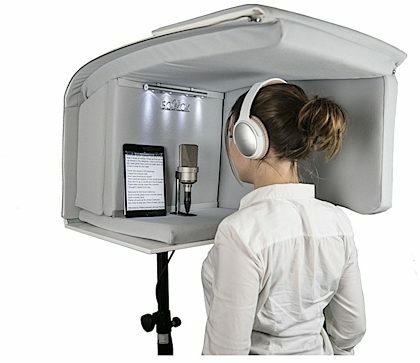 But when you can't build a studio -- this portable isolation booth is a great solution! 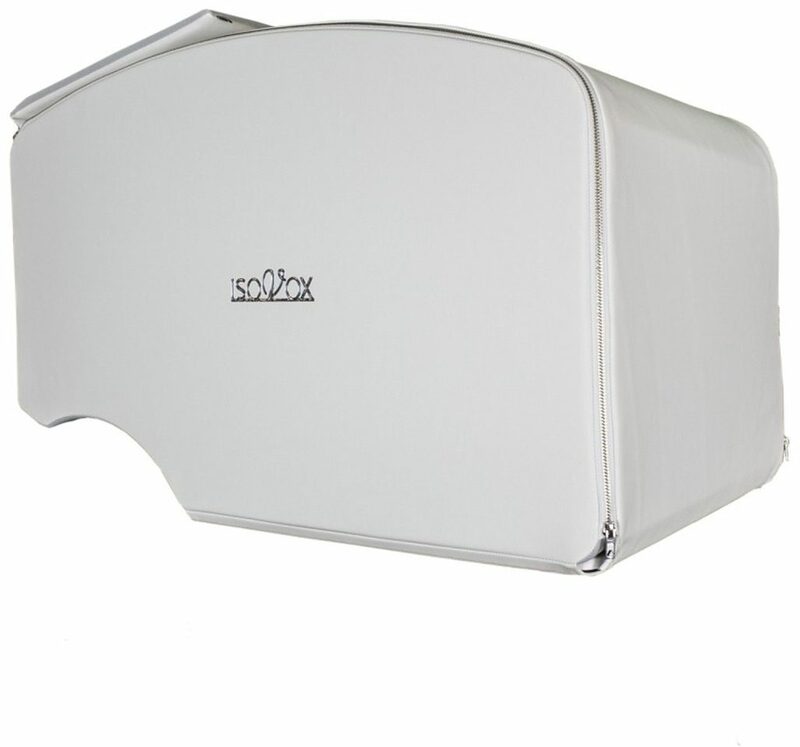 zZounds is an authorized dealer of Isovox products. This review has been selected by our experts as particularly helpful. "Awesome"
Overall: I have used closets (walk-in/free-standing), the eyeball solutions, reflection filters, and a few DIY solutions. This by far is more elegant of a solution if you have the floor space for the PA stand required to hold this. When you're inside it 100% cuts down on the volume of your voice to an outside listener, so when i have to shout during a VO audition i'm not waking the whole house. The inside of it is awesome its grey instead of bright white like the outside so when you're standing in there you don't feel blinded. Also it can fold down flat, f you're a singer and still want some of that natural room reverb you can just take off 1 of the side panels and get some of that in there. All in all great design, I love it, super professional feel. Style of Music: I like all styles/record multiple styles. Overall: ISOVOS 2 has enabled me to record and practise professional vocals in the comfort of my own home. As a father of 2 small children I can still give it my all without worrying about volume late at night. I strongly recommend this product to everyone with a homestudio who strongly wants to increase the quality of their vocal recordings. You will not be dissapointed.